Getting groups around Odessa and the rest of western Texas is easy with private motorcoach rentals through Shofur. Travel around Odessa and the local area with a professional driver behind the wheel for your private motorcoach. We’ll get your group to your next big sports game, school field trip, business conference, or any other large-scale event. Our rental experts are here 24/7 at 1-800-436-8719 to provide rental assistance and free, personalized quotes for your Odessa trip. As one of the fastest-growing small cities in the country, Odessa offers so much for groups of all types to experience. What better way to enhance your group travel experience than with a private charter bus? 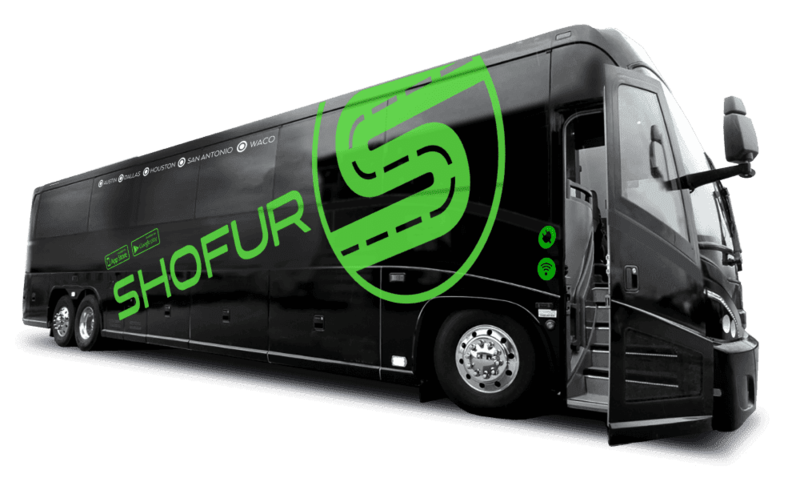 Shofur works with some of the best bus providers and drivers throughout Texas for travelers to utilize. From full-sized motorcoaches to compact minibuses, we have access to vehicles of all sizes and models to meet your needs. Our services also cover both short- and long-distance trips. Whether you’re traveling locally around Odessa or planning a trip to Lubbock, El Paso, San Antonio, or even out of state, Shofur will safely get your group there. The buses in our network include sleek and modern models with amenities like WiFi, televisions with DVD players, on-board bathrooms, and more to make your trip as comfortable as possible. Everyone in your group will stay entertained and comfortable throughout your Odessa trip. Planning transportation for a group can be difficult, especially if your group is relatively large. School groups made up of multiple classes can easily travel around Odessa to locations like the Ellen Noel Museum or the Odessa Meteor Crater Visitor Center. Large groups of students and chaperones can also charter a bus for important college tours-- a professional driver will shuttle your group to Odessa’s University of Texas campus or even up to Texas Tech in Lubbock. No matter where your school group is traveling in west texas, student will be in safe hands. Each charter bus is equipped with modern safety features and operated by professional drivers who’ve passed rigorous background checks. Parents and educators can book group transportation with ease and assurance through Shofur. We also service other large-scale events like weddings and sporting events. If you’re planning a wedding at The Rose Building or have a ice hockey game at Ratliff Stadium, let Shofur organize the transportation! Your guests will make it to your wedding ceremony with plenty of time to spare and sports teams won’t stress about arriving to their game late. Shofur is here to provide solutions for all of your Texas travel needs. We’ll get your bus rental set up quickly and efficiently to get your group on the road as smoothly as possible. Our rental experts will pair your group with the perfect model of bus and a professional driver to get you around Odessa and beyond. Call us 24/7 at 1-800-436-8719 to learn more about the rental process and to receive a free quote!